Anemia, literally meaning “without blood,” is one of the most common nutritional diseases on the planet. There are several major types of anemia, and all of them result in abnormally low levels of iron in the blood. Consequences of anemia, which can range from mild to severe, may produce fatigue, heart trouble, and mental cloudiness, among other symptoms. Anemia also reduces the amount of oxygen available to cells and organs, a significant factor in many disease processes. 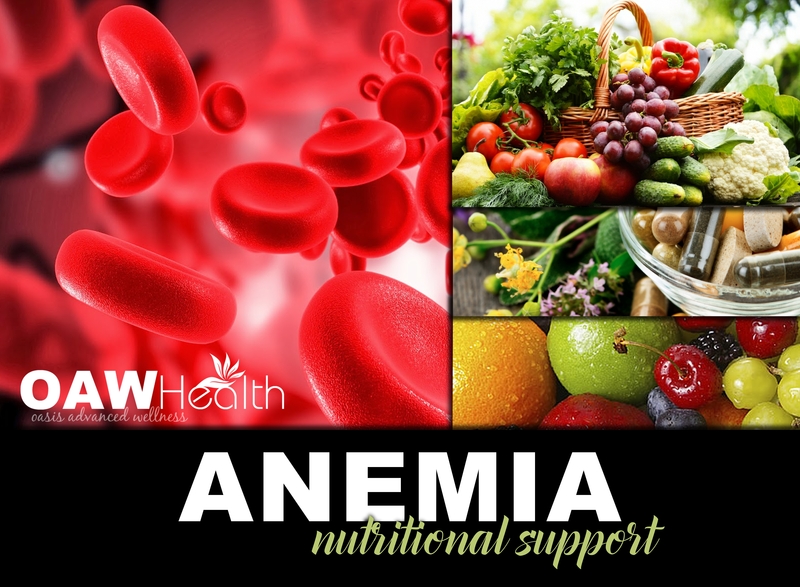 Effective nutritional support for anemia can go a long way in supporting the body’s natural abilities to repair. Iron deficiency anemia: This is the most common form of anemia, and may be caused by a poor diet, or due to other conditions such as internal bleeding. Pernicious anemia: This type is the result of the digestive tract’s failure to absorb sufficient amounts of iron or other important nutrients such as vitamin B-12. Anemia due to vitamin deficiencies: The body cannot make enough red blood cells (rich in iron) without key nutrients such as B-12 or folic acid. Anemia linked to chronic illness: Certain conditions can interfere with the production of red blood cells, producing ongoing anemia. These include HIV, kidney disease, arthritis, and Chron’s disease. Certain types of cancer, especially blood or bone marrow cancers, can also interfere with normal blood cell production. Some autoimmune diseases can also cause the body to unnaturally destroy red blood cells. When a person is anemic (has low iron levels) it is usually because the body is not producing enough red blood cells (RBCs). Without enough RBCs, insufficient amounts of oxygen becomes a problem, and waste products such as carbon dioxide cannot be efficiently eliminated. A protein in RBCs called hemoglobin enables the distribution of oxygen, and anemia is also often the result of low levels of hemoglobin. If you suspect you are anemic, please see your healthcare provider for blood tests that can measure your levels of iron, ferritin, hemoglobin, and nutrients associated with prevention of anemia such as B-12 and folic acid. Except for anemia caused by other conditions, the vast majority of cases can be prevented or turned around through proper nutritional support for anemia as well as the use of proper nutritional supplements and vitamins. The use of a natural iron supplement can be appropriate, but keep in mind that too much iron can be toxic to the body. If you do take an iron supplement, be sure to choose one that is in a form similar to that naturally found in the body, as many synthetic forms of iron cannot be absorbed or utilized properly. Two major nutrients are typically lacking in anemic persons: Vitamin B-12 and folic acid. Both of these can be elevated via a healthy diet or with natural supplementation if necessary. A diet that is high in iron is very beneficial too. Foods that are iron-rich include beans, lentils, dried fruits, and many nuts. The ability to absorb B-12 declines drastically with age. A sublingual B-12 bypasses the digestive system and can provide an infusion of B vitamins directly into the bloodstream. 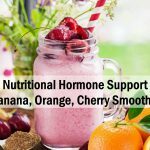 A formula that includes Vitamin B-6 and Folic Acid which work synergistically with Vitamin B-12 in lowering serum homocysteine levels and nutritionally supporting a healthy nervous system and cardiovascular function is suggested. High homocysteine levels are an independent risk factor for heart attack, stroke, or vascular disease. Elevations in homocysteine are found in approximately 20 to 40 percent of patients with heart disease. When there is too much homocysteine in the blood, arteries are damaged and plaque forms. The result is arteriosclerosis and heart disease. This happens when we don’t get enough of certain vitamins, mainly B-6, B-12 and folic acid. These B vitamins are missing from our diets because of the amount of processed and refined foods that most people consume – processing and refining foods destroys these vital nutrients. I highly suggest the methylcobalamin form of vitamin B-12 which is active in the central nervous system. The liver does not convert the cyanocobalamin form of vitamin B-12 into adequate amounts of methylcobalamin. The solution is to take vitamin B-12 in the methylcobalamin form under the tongue every day. B-12 is necessary for healthy RBCs (red blood cells) to form and reproduce. Vitamin B-12 can be found in grass-fed red meat (or fish such as salmon and mackerel if you wish to avoid red meat), leafy green vegetables, and in organic dairy foods such as milk, egg yolks, and cheese. If you have pernicious anemia, it is also important to use a spore-bearing probiotic to strengthen the health of your digestive tract. Folic acid, another of the B vitamins, works in close conjunction with B-12, and those with anemia are often low in both. Risk factors for low folic acid levels (and low B-12) include pregnancy, cancer treatments such as chemotherapy, the use of certain medications, and alcohol abuse. Foods rich in folic acid include organic citrus fruits and organic leafy green vegetables. It is also important to get enough Vitamin C, as this important vitamin helps your body to absorb more iron, B-12, and folic acid as well as aids the immune system. Vitamin C is not produced in the body and is a water soluble vitamin. People who may not get enough Vitamin C are: smokers, those exposed to secondhand smoking, infants fed evaporated or boiled cow’s milk, people who eat a limited variety of foods and people with certain medical conditions such as severe malabsorption, some types of cancer, and kidney disease requiring hemodialysis. Symptoms of Vitamin C deficiency are: fatigue, mood changes, joint and muscle aches, bruising easily, periodontal issues, dry hair and skin, infections and slow wound healing. Another superfood that is wonderful for treating and preventing anemia: organic, non-sulphured blackstrap molasses. This byproduct of refined sugar has a rich, bittersweet flavor, and is rich in numerous nutritional goodies including iron, calcium, copper, manganese, magnesium, selenium, and vitamin B-6. In fact, blackstrap molasses is higher in iron than red meat, and lower in calories and fat-free to boot. Anemia that is from Vitamin B12 deficiency or from chronic disease requires a definite look at one’s gut health. If lab tests confirm low levels of Vitamin B12 or ferritin levels that are concerning, the standard recommendation of iron supplements may not be the best answer and may even make any type of infection worse. High ferritin levels indicate that the body is likely stockpiling inactive iron which is a protective mechanism. Elevated ferritin indicates the body has plenty of iron, but also suggests that there is inflammation going on and that the body may be trying to fight an infection. If lab tests reveal levels of both iron and ferritin are low, the conclusion is most likely poor absorption and possibly a concern with the body’s digestive tract ecosystem. This is the reason those with gut disorders are frequently anemic. Anemia as a result of Vitamin B12 deficiency is very frequently found in those with too little stomach acid, heartburn, and those who frequently use antacid medication. Talk to your healthcare practitioner about using an HCl (hydrochloric acid) supplement along with sufficient enzymes to break down protein (protease). These can help ease the digestive burden on the stomach as well as helping to restore the proper pH of gastric juices. There are several other things that can be done to promote digestive tract health. Full body cleansing, detoxification of the liver and gallbladder, daily consumption of properly made fermented foods, as well as using an effective probiotic are helpful solutions. Important: Always consult a qualified practitioner before using supplements for any medical condition. At issue are drugs sold under the brand names Procrit, Epogen and Aranesp. These anemia drugs are genetically engineered versions of a natural protein, erythropoietin, that increases the number of red blood cells. Recent studies found that using too much of the anemia medications increases the risk of death, blood clots, strokes and heart attacks in patients with chronic kidney failure. In other studies, patients with head and neck cancer had more rapid tumor growth if they used higher-than-recommended doses. Even when the anemia drugs were used at FDA-recommended doses, giving them to cancer patients not on chemotherapy increased the risk of death. Moreover, some doctors have begun giving the anemia drugs to patients following orthopedic surgery, also increasing the risk of blood clots. Amgen Inc. and Johnson & Johnson, companies that manufacture and market the drugs, both said they would work to inform doctors about the new warnings, outlined in a so-called “black box.” The “black box” warnings are the most serious a drug label can bear. University of Maryland. Herbs and Supplements for Anemia. Uzma Mehdi, MD and Robert D. Toto, MD. 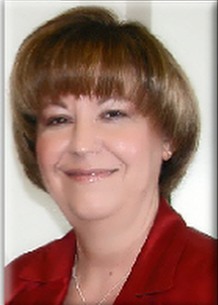 Anemia, Diabetes and Chronic Kidney Disease. Diabetes Care. Jul 2009; 32(7): 1320–1326. doi: 10.2337/dc08-0779 Department of Nephrology, University of Texas Southwestern Medical Center, Dallas, Texas. New York Times. FDA Urges Less Use of Anemia Drugs. Gardiner Harris. June 24, 2011. E Andres, et al. Vitamin B12 deficiency associated with chronic acid suppression therapy. Ann Pharmacother 2003;37:1730. G Weiss, et al. Pathogenesis and treatment of anemia in inflammatory bowel disease. Haematologica. 2010 Feb;95(2):175-8. Johnson, P., Schubert, E. Availability of iron in rats from Spirulina, a blue-green algae. Nutrition Research 1986, Vol. 6. 85-94. Takemoto, K. Iron transfers from Spirulina to blood in rats. Saitama Medical College. Japan. 1982. Takeuchi, T. Clinical experiences of administration of Spirulina to patients with hypo chronic anaemia. Tokyo Medical and Dental Univ., Japan. 1978. Jilani T, Iqbal MP. 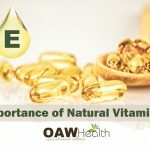 Does Vitamin E have a role in treatment and prevention of anemia? Pak J Pharm Sci. 2011 Apr;24(2):237-42. PMID:21454177. 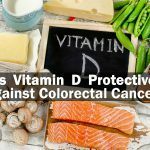 Is Vitamin D Protective Against Colorectal Cancer?